At Color of Thunder it’s not all logos and websites. Sometimes we need to flex other creative muscles just to make sure everything stays sharp. So we present to you Geeksplosive, an alter-ego brand, established just for this purpose. First out of the gate for Geeksplosive is My Neighbor Lends A Hand, Pt. 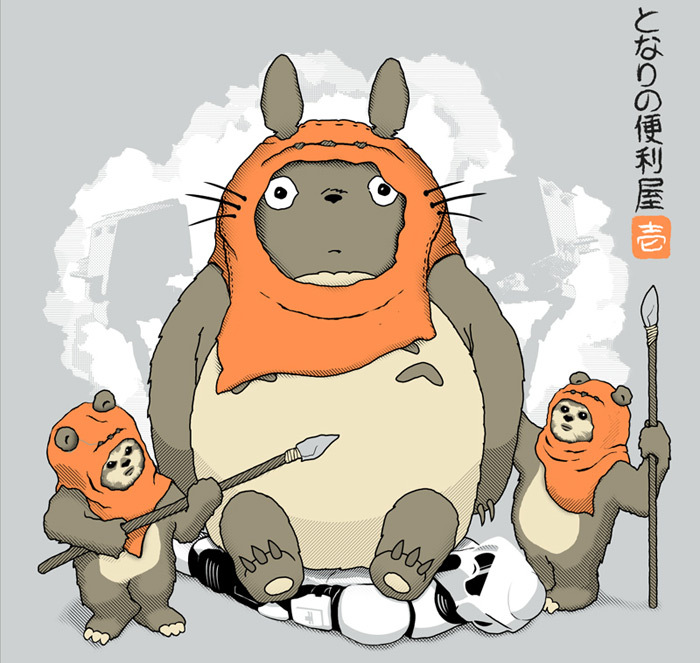 2, an illustration paying tribute to an imagined collision of Star Wars and Totoro. It’s available to purchase on a heather grey t-shirt at the Geeksplosive storefront at Teepublic right now! More of this kind of fun will follow soon, we promise. My Neighbor Lends a Hand, Part 2. Wait, what ever happened to Part 1? All in good time friends, all in good time!